Bohol is one of my favorite places in the Philippines. From beautiful beaches to amazing spots such as the Chocolate Hills, a trip to Bohol is an experience in itself. 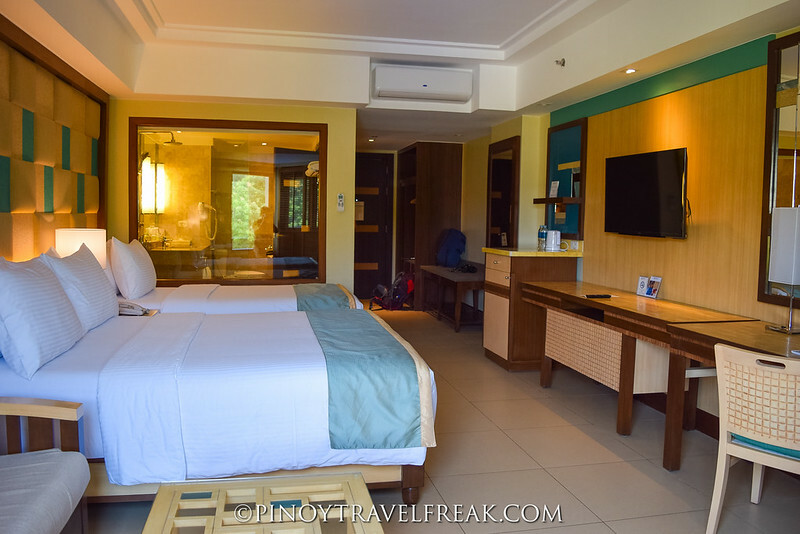 But with the addition of Henann Resort Bohol, one can bring his Bohol vacation to the next level. 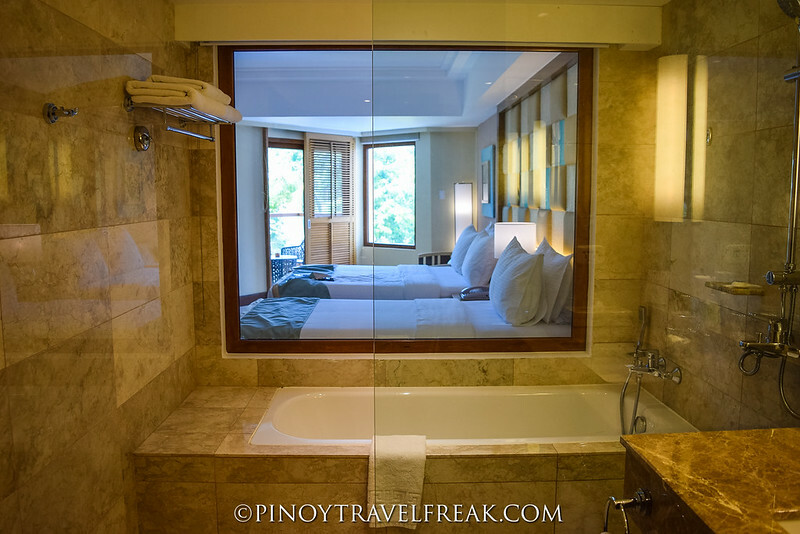 Aside from being a favorite place, Bohol is a special destination for me as a travel blogger. Bohol was the first major local trip I did which awakened the wanderlust in me, and opened my eyes to the natural beauty the Philippines possessed which I thought everyone needs to see and experience. 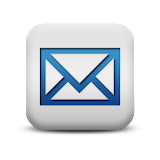 This led me to creating this travel blog and the rest is history. As of this writing, I've visited Bohol for four times already. It has so much to offer that every visit always excites me. I'm the kind of traveler who loves to explore and see as many things as I could in every place. But my recent trip to Bohol was different from usual. This time, it was about relaxation--a weekend trip where I can finally call a true "vacation". If you're a budget traveler or a backpacker, you know what I mean. So what made my Bohol trip extra special this time? I instantly fell in love with Bohol on my first visit five years ago. 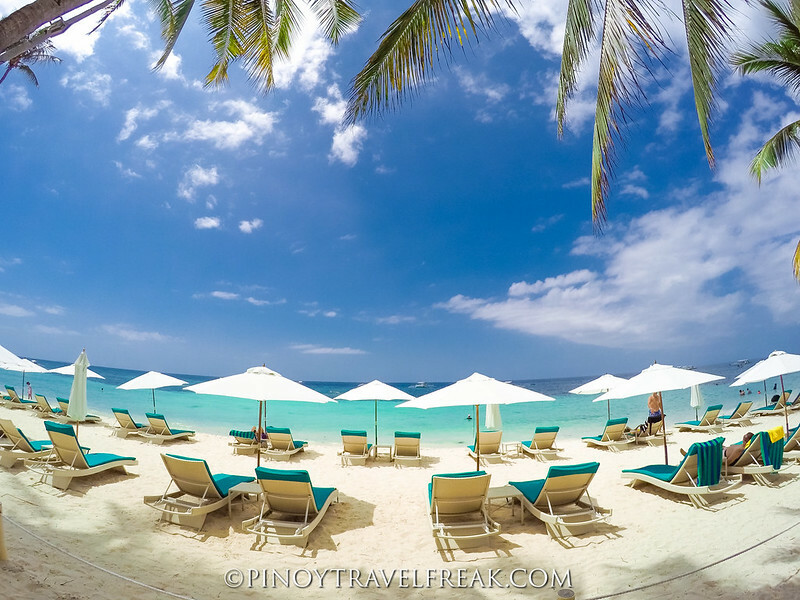 I could still vividly recall the moment I sat on a quieter side of Alona Beach in Panglao in front of what looked like a closed property one morning and said, the "sand here is really white, powdery just like Boracay." I never realized that part of the beach which stuck on my memory is where the biggest beach resort in Panglao Island now stood. I first learned about Henann Resort on Instagram and upon seeing the photos, I just couldn't wait to see and experience it myself! And that day finally happened. 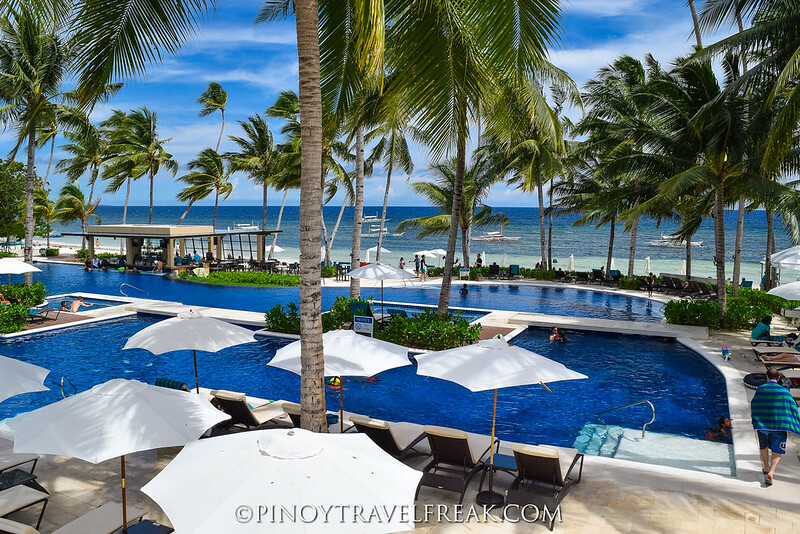 Henann Resort is Panglao Island's biggest beach resort at 6.5 hectare featuring 400 world-class accommodations, three swimming pool, a convention center which can hold up to 1000 people, and more. 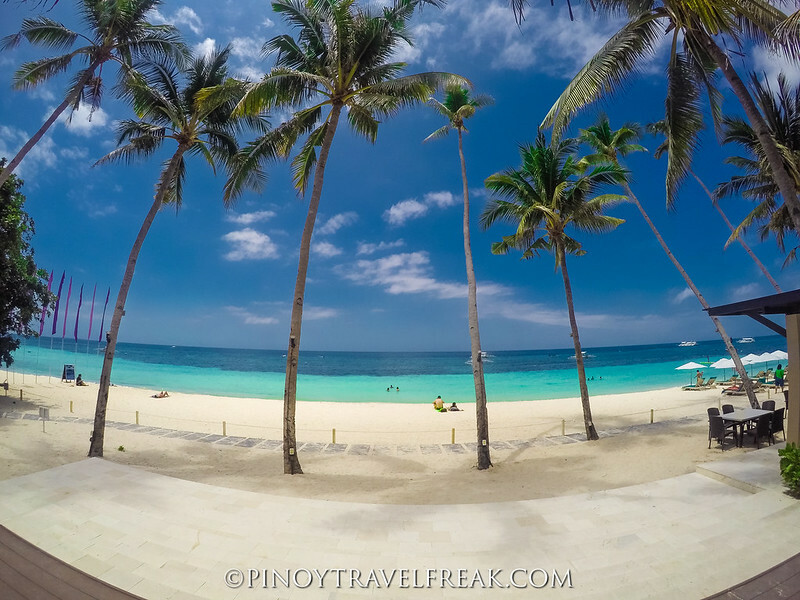 It also has the widest and longest beachfront area along Alona Beach at 125 meters. Sweet! Upon arrival you will be impressed by the fabulous interior design and decoration of the resort's grand lobby. 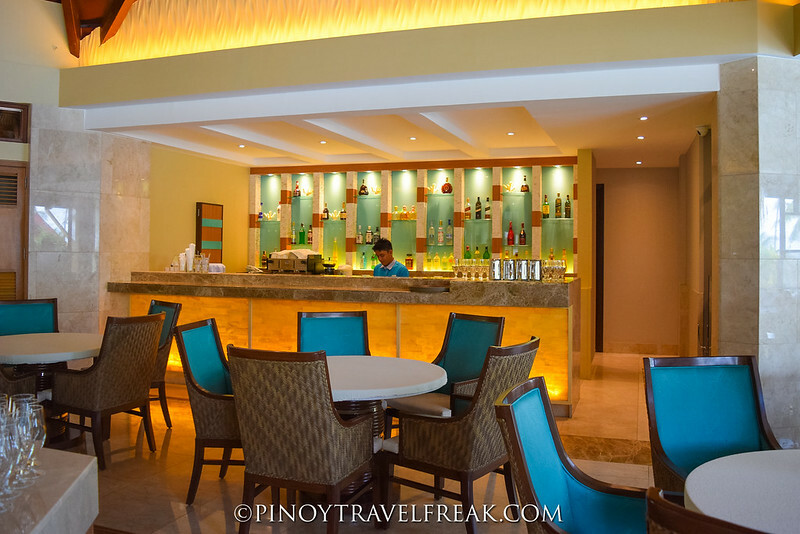 While checking-in guests are served with refreshing welcome drinks. 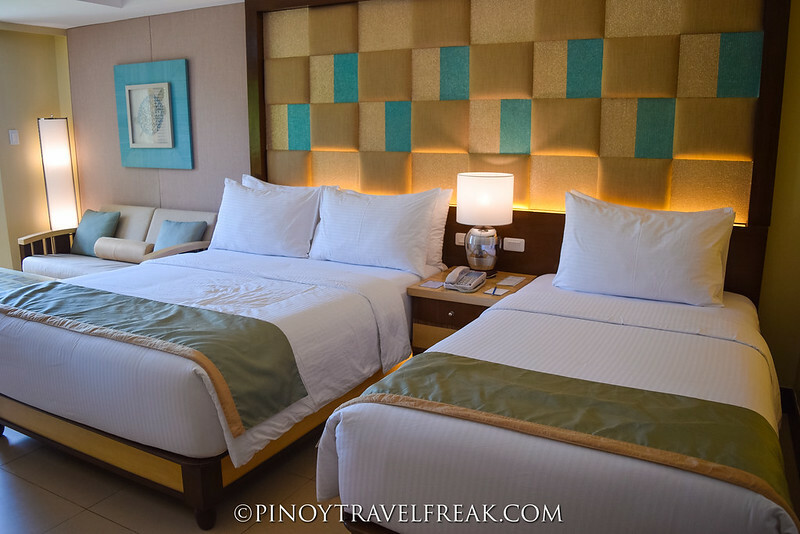 We stayed in a Premier Room which features a king-size and single-size bed, which means it can accommodate up to three persons--perfect for couples or small families. Amenities include 40-inch TV, marble-clad bathroom, complimentary WIFI access, personal refrigerator, daily complimentary drinking water, coffee and tea making facility, Henann branded toiletries, and more. 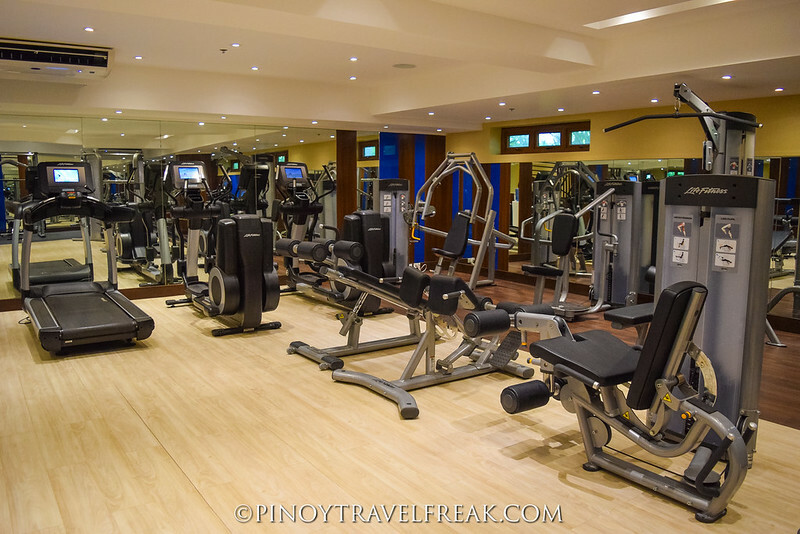 It also comes with complimentary access to the Gym and Fitness Center. My first impression is that room is so spacious and refreshing to the eyes. 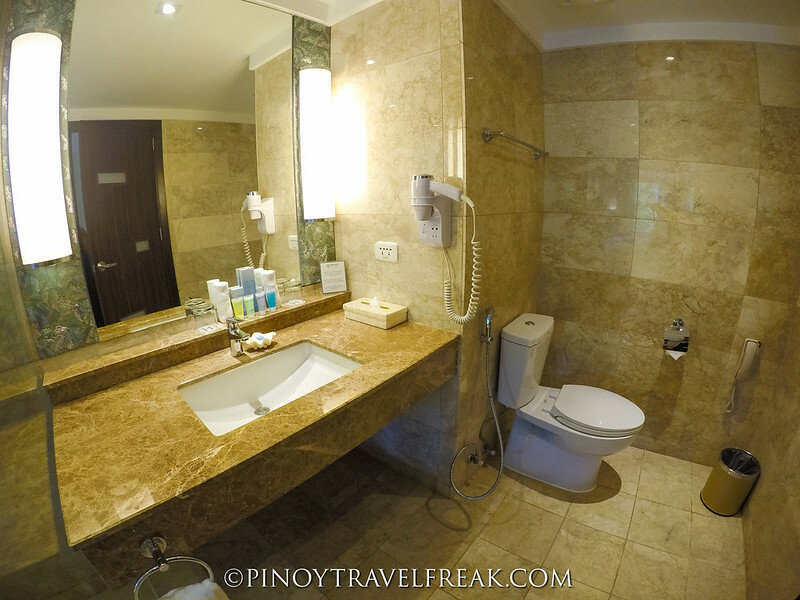 It exudes luxury, coziness and comfort. I especially love the combination of earth tones and turquoise blue, which is one of my favorite colors. 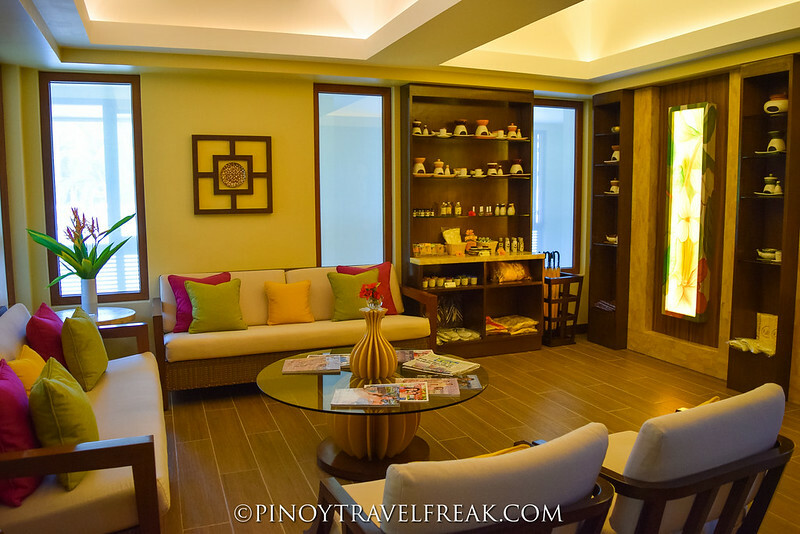 Despite the luxurious look and feel, one can't deny the Filipino inspiration in the interior design by making use of various local materials. 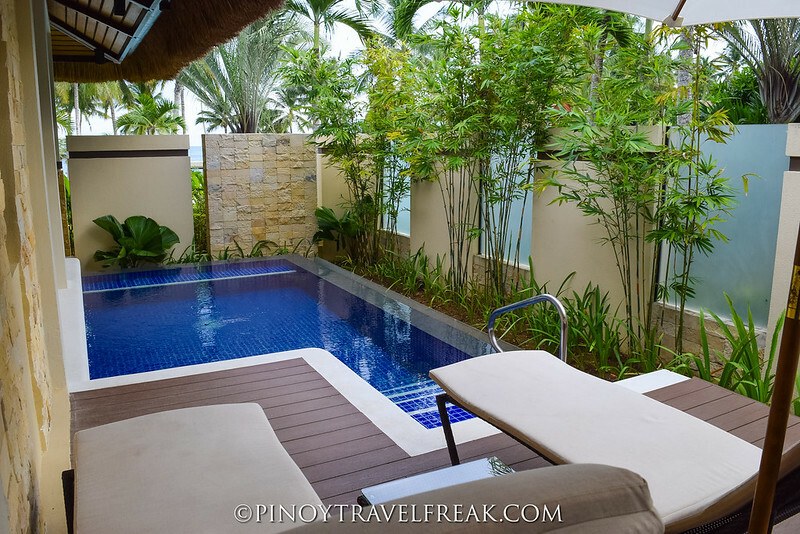 One of the best features of the room for me is the balcony overlooking the pool and garden area. View of the beds from inside the bathroom. Don't worry - the glass wall has a pull-down blinds for privacy. Let's talk food. 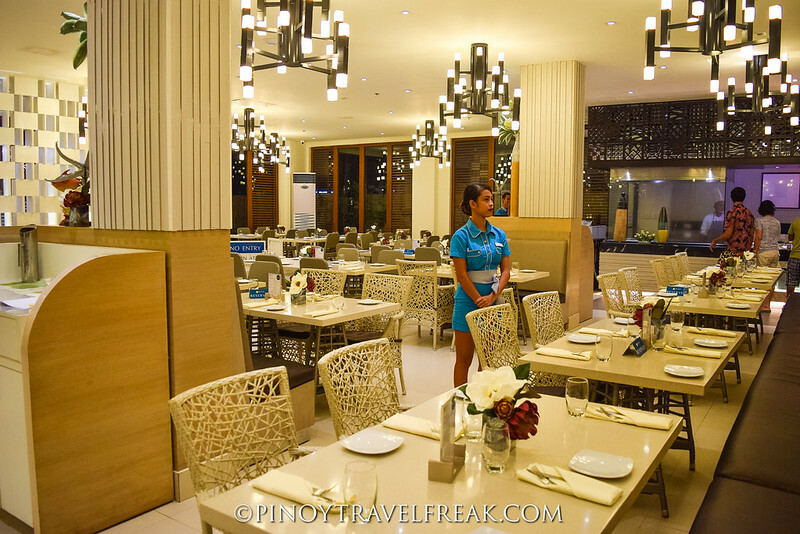 Henann Resort Bohol has three main restaurants scattered within the resort. Among the three, I got to experience only two since the other one, Coral Cafe, is under renovation during our visit. 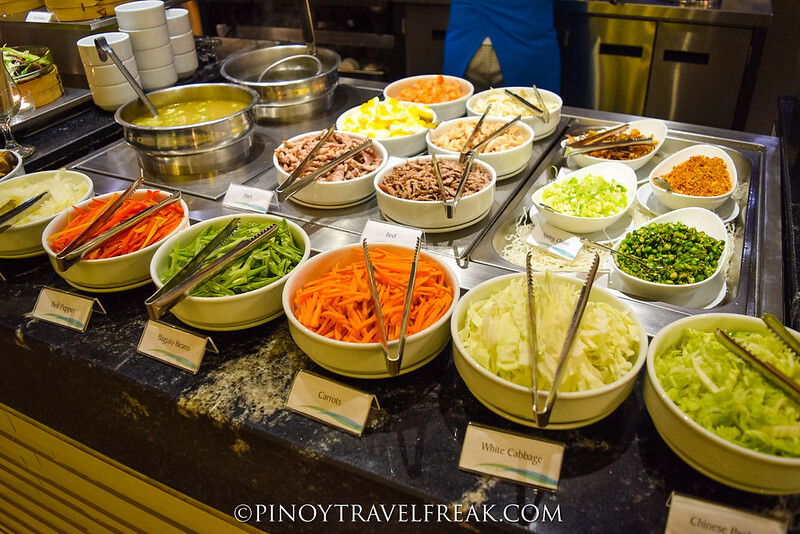 Sea Breeze Cafe is an all-day buffet restaurant serving Filipino, Asian, and Western food. It also offers ala carte dining and it's open to checked-in and walk-in guests. 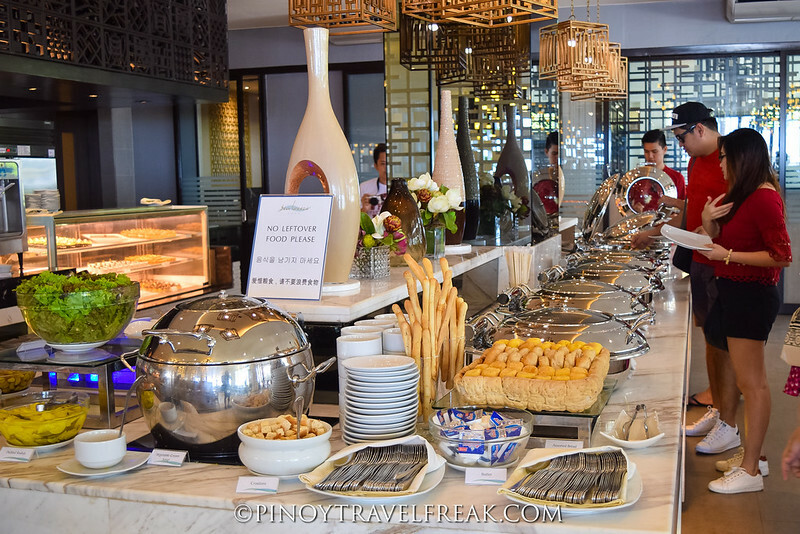 Inside the restaurant there are various stations of different cuisines including pasta station, salad station and even live-cooking stations. If you're expecting a buffet with wide selection of dishes, Sea Breeze Cafe is your place to be. The restaurant is located beachfront and also offers al fresco dining with live music right on the beach at night. Fresh seafood, anyone? 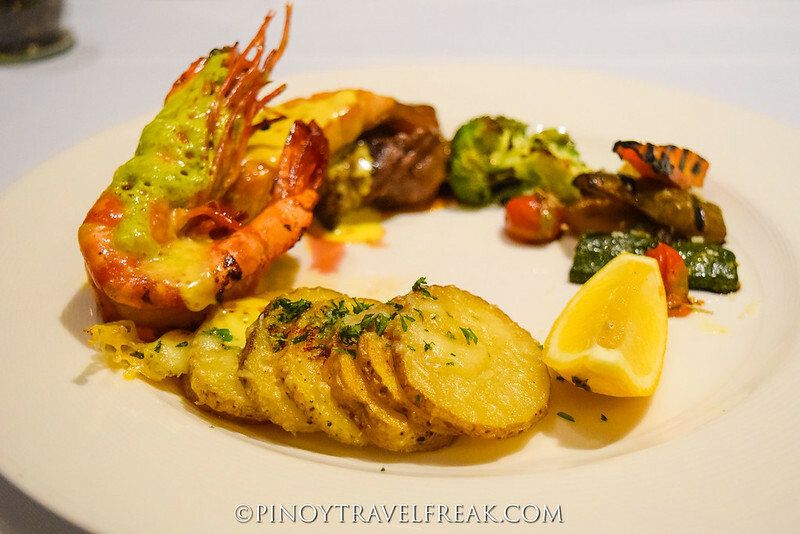 Meanwhile, Christina's is the resort's wine and fine dining restaurant serving a variety of Western cuisine. While Sea Breeze Cafe is close to the beach, Christina's is located at the heart of the resort offering views of the pool. 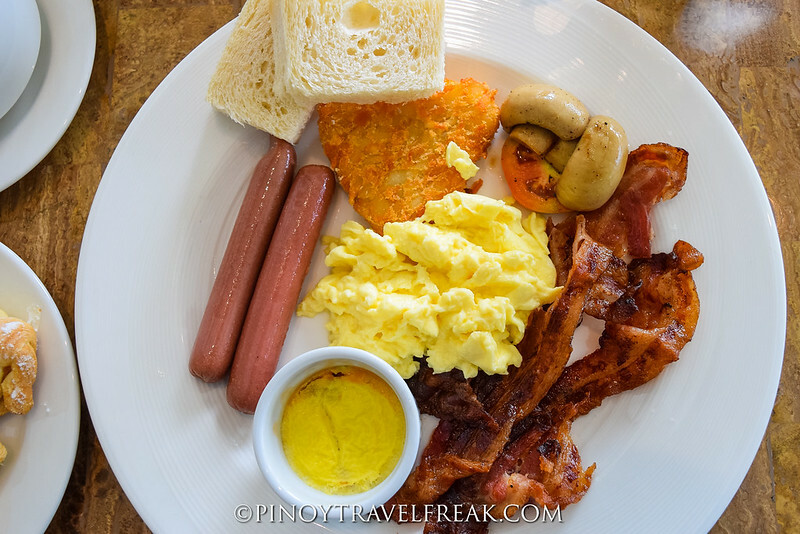 Breakfast (ala carte and buffet) is available from 6am to 10am while ala carte dining is open from 10am to 10pm. If there's one thing that convinced me to come and visit Henann Resort Bohol, it's their Instagram-perfect swimming pool. If Henann's swimming pool is food, I must say they are mouth-watering! 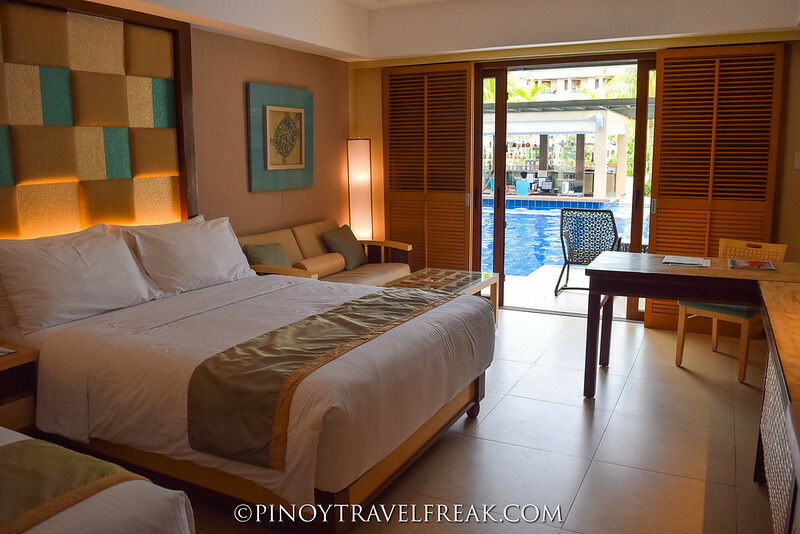 I'm really more of a beach guy, but the resort's huge swimming pools are something you can't and won't miss to experience. 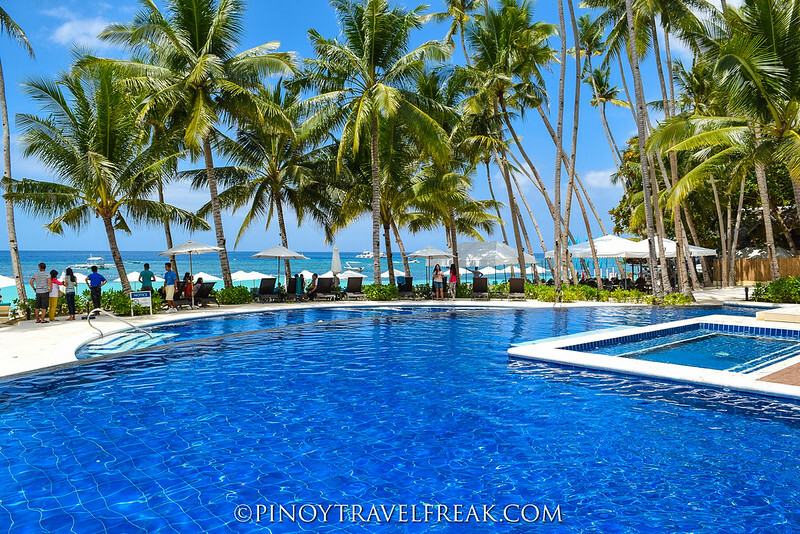 Henann Resort Bohol has the most number of swimming pools in the island. Aside from the relaxing atmosphere and looking fantastic, each outdoor pool features a bar for a more unique and pampered experience. Among the three swimming pool areas, the best swimming pool for me is the one located beachfront. 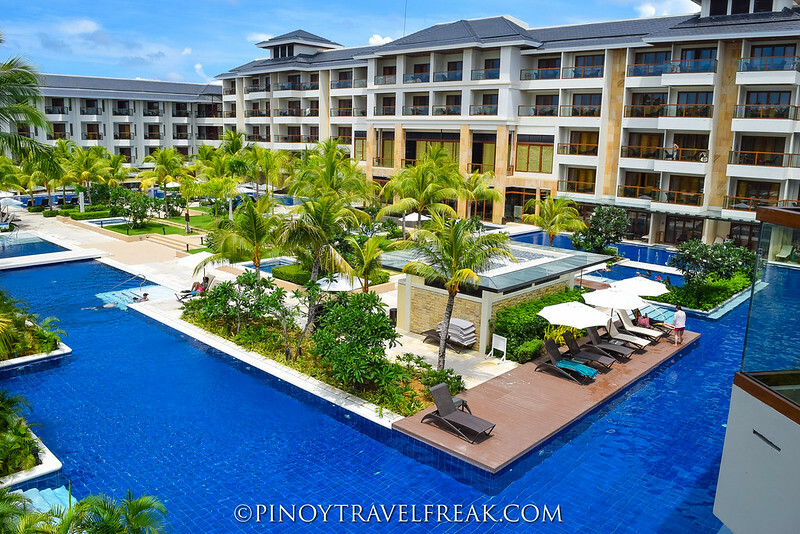 It features multi-level pools, jacuzzi pools, coconut trees, a bar, loungers and the amazing view of Alona Beach. Like I earlier mentioned, Henann Resort sits on the best part of Alona Beach area--powdery white sand and less crowded since it's already at the far end of the beach. 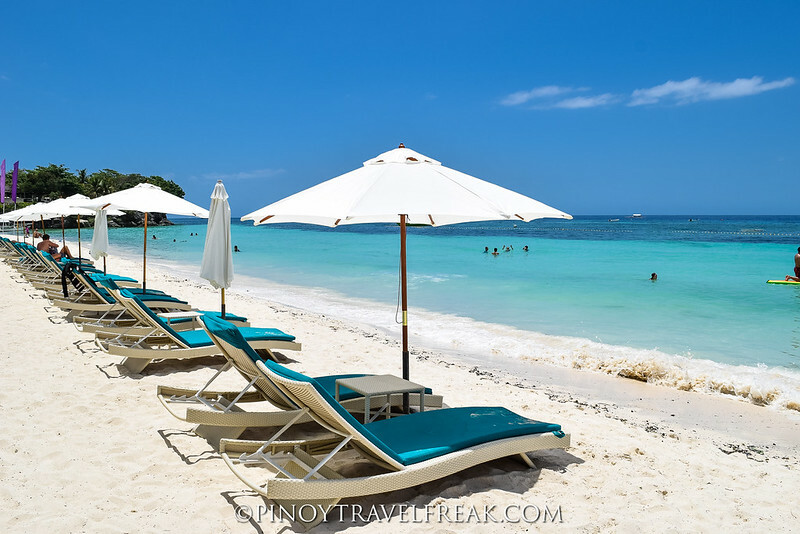 Sun loungers with umbrellas line in front of the beach for those who want to relax and enjoy the pristine shore of Alona Beach. If you feel a bit adventurous, you will find vendors and operators offering island hopping activities and countryside tours. 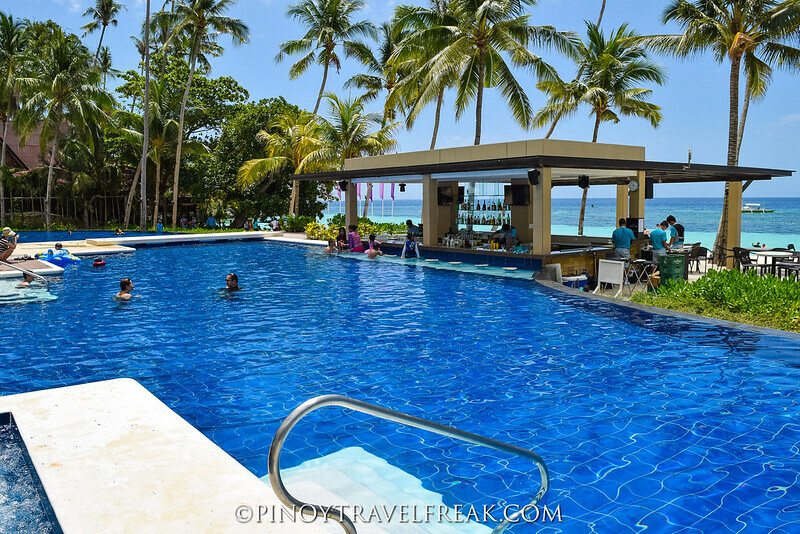 Island hopping is popular in Panglao which includes a trip to Balicasag Island, Virgin Island, and Pamilican Island for dolphin watching and snorkeling. These destinations are accessible from Alona Beach by private boat. A perfect complement to your vacation is a spa experience which Kai Spa aims to provide. 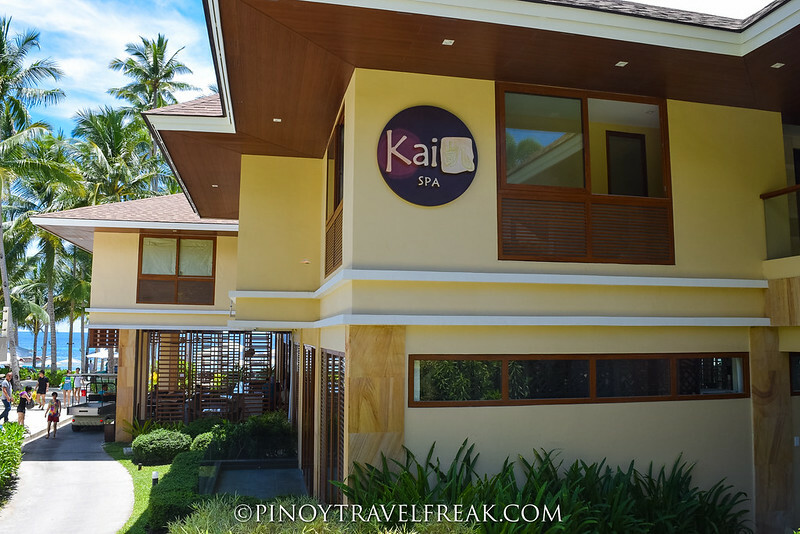 Kai Spa offers different types of massages and spa treatments. 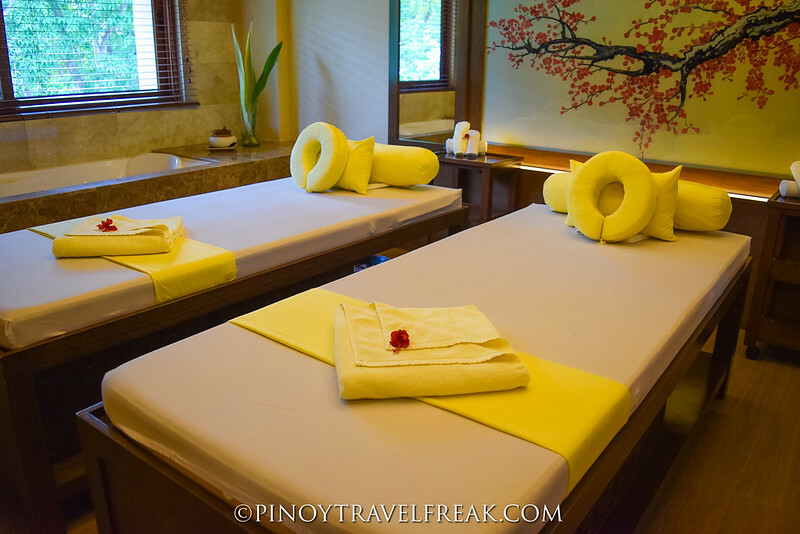 I got to try their signature massage which focuses on deep relaxation and detoxification. To get the ultimate spa experience, we decided to try the sauna and jacuzzi before the 90-minute massage begins. Before the treatment, we were asked to fill out a form where you specify the parts of your body you want the therapist to focus on and the level of pressure. The receptionist also asked us to choose our preferred massage oil. Then some sort of ritual or ceremony were performed just before the actual massage session begins. I felt special, pampered and adored like a king. 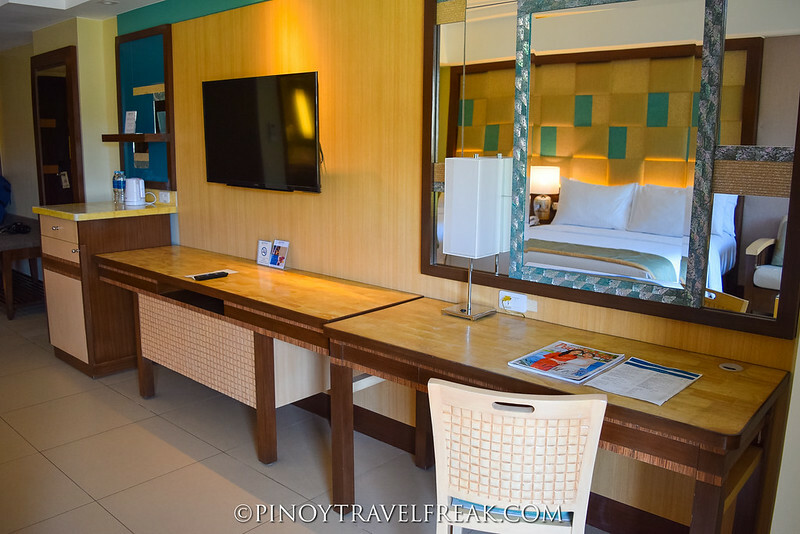 Aside from these, Henann Resort Bohol has a business center, a gym and fitness center, and the largest convention center in the province. Resort services also include mini-shop, laundry services, foreign currency exchange, airport transfer with fee, room service, and a lot more. Henann Resort has everything you'll need for a perfect trip! Experiencing Henann Resort Bohol can definitely turn your ordinary Bohol trip to extraordinary one. 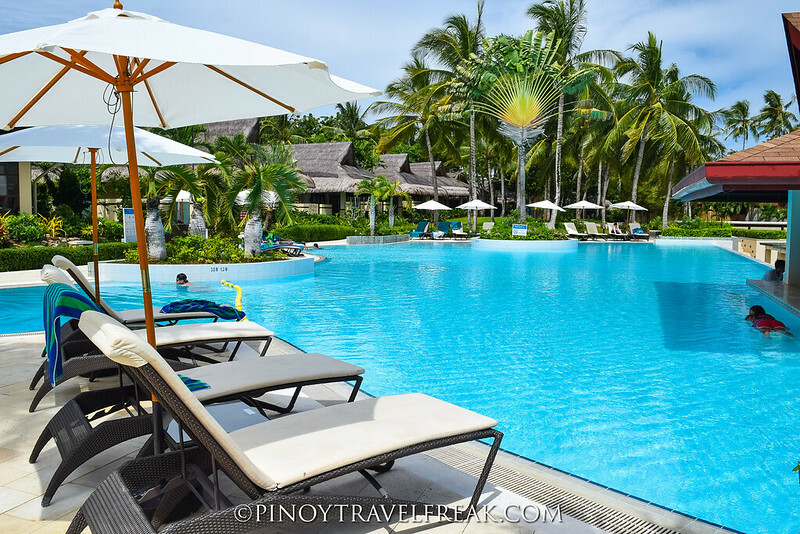 The combination of gorgeous swimming pools and white-sand beach, along with first-class customer service and world-class facilities, makes Henann Resort the most incredible vacation destination in Bohol. Visit www.Henann.com to book your next tropical beach getaway at Henann Resort Bohol. From Manila (NAIA Terminal 4), you can fly directly to Tagbilaran Airport. 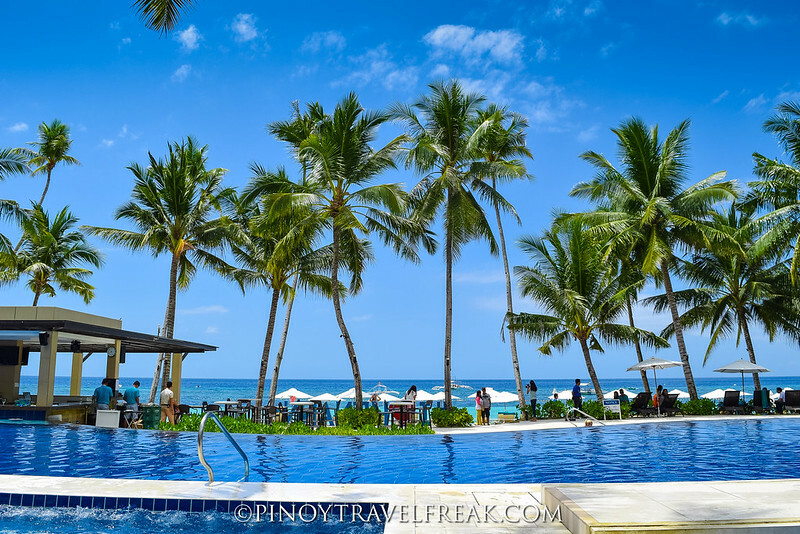 From the airport, you can rent a private car or avail of the resort's transportation services for convenience to get to Henann Resort in Panglao Island. Travel time from the airport to the resort takes about 30 minutes. 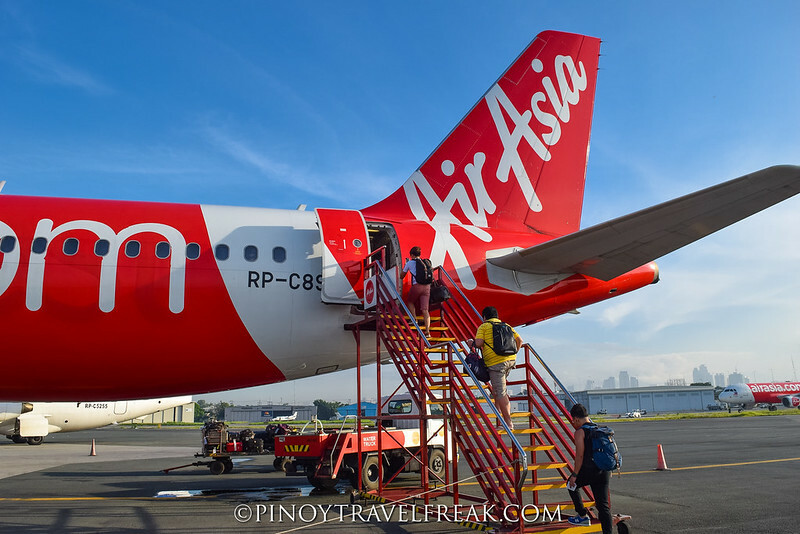 AirAsia Philippines flies from Manila to Bohol 4x daily. 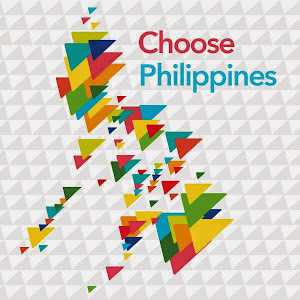 Visit www.AirAsia.com to book your flight to Bohol!